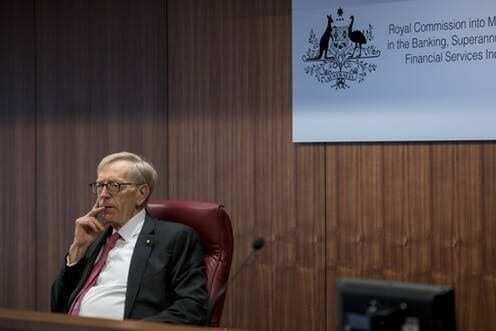 On Monday Commissioner Hayne made public his findings and recommendations on the Financial Services industry. His report appears measured and pragmatic but will take time to implement. The Federal Government has said it will act on 75 of 76 recommendations. We have identified a few pertinent matters to share with you. The report will not force banks to separate financial advice divisions, meaning Westpac can retain the BT business. The other three Big Banks are already well progressed in selling off their advice businesses, viewing it as a “failed experiment.” The reality is they never had the right cultures to deal with the inherent conflicts of interest they built into their advice businesses. To illustrate, NAB’s fee for no service debacle arose because the trustee of the NAB super funds was part of the NAB group, so rather than act in the best interests of members (which a trustee is legally obligated to do), the trustee actively sought reasons to justify why the super fund should keep fees (wrongly) charged to its members. Hayne has recommended that superannuation trustees be prohibited from assuming any obligations other than those related to being trustee of the fund. Financial advisers will also be required to ask clients to annually recommit to ongoing advice fees. We already do this at Alman Partners and view it as best practice. Advisers will also need to be individually registered, in a similar way to doctors and lawyers, with a single disciplinary body responsible for imposing sanctions on misconduct. When we voluntarily sought accreditation as a fiduciary through the Centre for Fiduciary Excellence (CEFEX) we wanted to ensure that we always acted like professionals and put clients’ interest first. As part of that ongoing accreditation, CEFEX undertakes annual audits of Alman Partners to ensure our internal processes, practices and behaviours meet the highest fiduciary standards. Consequently, we’re supportive of this change. Of the 24 cases Hayne has referred to regulators for civil and potentially criminal breaches of the law, most revolve around the fee-for-no-service scandals at NAB, AMP and CBA. Some of the breaches carry up to 10-year gaol sentences, and Hayne stated some of the behaviours warranted consideration at the upper end of this scale. ASIC viewed fees for no service as inadvertent errors that arose due to sloppy administration systems. This is despite the fact many people charged a fee didn’t even sign up to receive advice in the first place. Hayne took a very different view, believing the behaviour was deliberate and systematic and that “in many cases, the advice licensee knew that the client would not receive any services in exchange for the ongoing fee.” In many cases clients who (unknowingly) paid for advice didn’t even have an adviser linked to their account, meaning there could have been no possibility of services being provided. Yet even as late as April 2018, NAB was arguing with ASIC that it should be allowed to keep the fees. The one recommendation the Government is reluctant to immediately act on (but Labor has said it will enforce if elected) relates to mortgage brokers. Hayne has recommended that over a two to three-year period, all upfront and ongoing commissions paid to mortgage brokers should be banned. In effect, the borrower, rather than the lender, should pay the broker for arranging a loan. This is not the first time this matter has been considered by a Government. The intent of such changes would be to prevent people from getting access to credit who really should be denied it. The risk of such a change is that the smaller banks – who heavily rely on referrals from mortgage brokers – will find it harder to attract customers, meaning the Big Four banks market position will only strengthen. The Productivity Commission has previously warned against the ban on commissions for this reason, as they say it would impact competition. The reality is most people in their 20s struggling to save for a home deposit would rather walk into the local bank branch and take whatever is offered to them than pay a broker to help them arrange a loan. Loan application thresholds have actually risen significantly in the past 12 to 18 months – it’s much harder to get a home loan now due to the depth of information being requested. We have seen this first hand for clients. This action will largely address the issue of credit being extended to those who can’t afford it. Hayne also recommended that the law be amended to say mortgage brokers must act in the best interests of the borrower. It’s amazing such common sense isn’t already a legal requirement. Laws and rules have long been in place to govern the financial services industry, but when people choose not to follow them and there are no ramifications from the regulators (ASIC and APRA), then of course poor behaviours will flourish. The Weekend Australian on 2 February 2019 reported that when the Commonwealth Bank failed to switch 15,000 customers’ superannuation accounts to a low-fee My Super account – which constituted a criminal offence – rather than prosecute and secure fines of up to $127M from CBA, APRA (the regulator body that oversees financial institutions) instead chose to allow CBA to transfer the accounts across to My Super over a three year period, during which time it could continue to charge higher fees. Hayne has rightly called this ineffective behaviour to account. APRA didn’t perform well and will now face a capability review every four years. ASIC will be the chief conduct regulator and gain more powers to police superannuation, at the expense of APRA. Self-reporting – processes already exist for licensees to report serious breaches of their license conditions to ASIC, but it became clear that most large institutions fail to follow the rules. So, there will be obligatory quarterly reporting to ASIC of all breaches. Remuneration – Hayne didn’t make any specific recommendations regarding remuneration structures in the finance industry, but he did support the Banking Executive Accountability Regime (which now has expanded powers) which has designed a remuneration approach that better aligns incentives for bankers with long term shareholders. Trustee Companies – One thing the Commission didn’t focus on was Trustee Companies. We are disappointed by this omission because in our experience the way many of these institutions charge clients and make it difficult for clients to exit is reprehensible. Insurers are likely to lose commissions (or have them capped) on life and general insurance products. The bottom line is that these are complex issues. It took a Royal Commission to expose them. But the underlying theme in all areas of misconduct was greed – think of the (now) former adviser and financial media commentator Sam Henderson advising a client to put money in his own managed funds that would have instantly cost the client $500,000 for no real benefit. Greed is a product of culture. Hayne said banks allowed sales to become all-important and conflicts of interest could not be managed and went unsupervised. Given that welfare payments account for 35% of the Australian Government’s expenses, and this level of expenditure is not sustainable, it’s in all our interest for more Australians to be financially self-sufficient. Our hope is that the recommendations of this Royal Commission provides the culture, systems, accountability and confidence required to help all Australians build better lives for themselves as a result of their interactions with the financial services community. If anyone wishes to read the full report, please contact your adviser. Alman Partners Pty Ltd, Australian Financial Services Licence No: 222107.